In September 2013 started my SID journey at Laurea Leppävaara unit with Design thinking –course and I must say – what a start for our Master program! Laurea had invited Design professor and entrepreneur Katja Tschimmel and Founder and author of FORTH Innovation method Gijs van Wulfen to teach us what Design thinking is. During the two exciting days we found out that it wasn’t just them to teach us – we also taught and learned from each other. This course was a real kick-off to learn how to think like a designer! During the two days of Design thinking course we followed Gijs van Wulten’s FORTH Innovation method by observing, planning, exploring, learning and raising a lot of different ideas. The FORTH stands for Full steam ahead (F), Observe and learn (O), Raise Ideas (R), Test Ideas (T) and Homecoming (H). The method is a practical tool to start innovation effectively and van Wulfen’s book The Innovation Expedition gives you specific details how to run successfully the innovation process. The most important lesson of the book is “You cannot innovate alone”. We noticed this also in our class. Our two day course got us to make a photo tour, sketch and glue, draw and build up a prototype. Among these things we had lots ideas which changed during the process. One could say a word and it could lead up to change our plans for the project. In our group we didn’t know each other from before but we felt cohesion. Everyone could bring their strengths and ideas to the group. Together we built up a proposal for Laurea how to make the campus a better place and we felt we were thinking like designers. Katja Tschimmel writes in her article that “ Design Thinking is understood as a complex thinking process of conceiving new realities, expressing the introduction of design culture and its methods into fields such as business innovation”. Design Thinking gives new ways to manage businesses by offering processes and toolkits to visualize and carry out the innovation projects. Images, sketching and prototyping are in special role in the creative thinking process. One characteristic of Design Thinking is also that it is always human-centered. Co-operation and co-creation will lead to innovative results. Today Design Thinking is not only a mindset, but has become an important factor for innovation process. It connects the creative design to traditional business thinking to help to plan and solve problems. 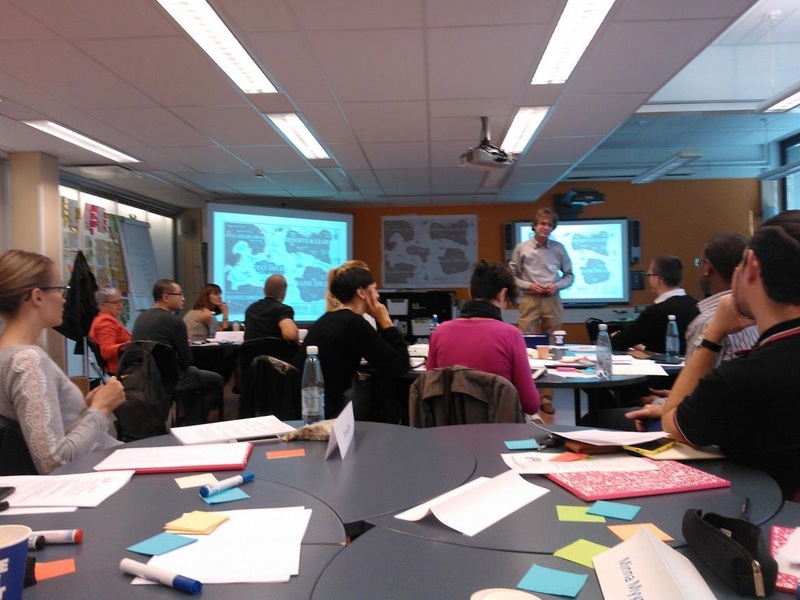 During the course I found out that Design Thinking is a fun and useful method to make things better. I found out that innovation process won’t happen in one brainstorming session – it needs time to be elaborated, rethinked, tested and rethinked again. Also it needs to be done within a group with open-mindset. You must be able to take feedback and consider that as very valuable information. Most important is that you listen to each other, you respect each other and you let your mind flow. We have a lot to learn with our SID studies but our mind has turned now on Design Thinking mood! I totally agree this post. For me this cource was kick-starter for SID studies too. For me it was however most of all mind-set level thing because I work such a business oriented occupation. Now when I red this post few months since the course I effectively summarized and recalls the essence in desingn thinking. I liked that the key words where bolded, and the post was in my opinion well-written.